How would you colour the world? You are here: Home / How would you colour the world? In previous week’s blogs, we have spoken about the importance of introducing your children to a world of global literature, and how to get the most out of your shared reading time with your child. 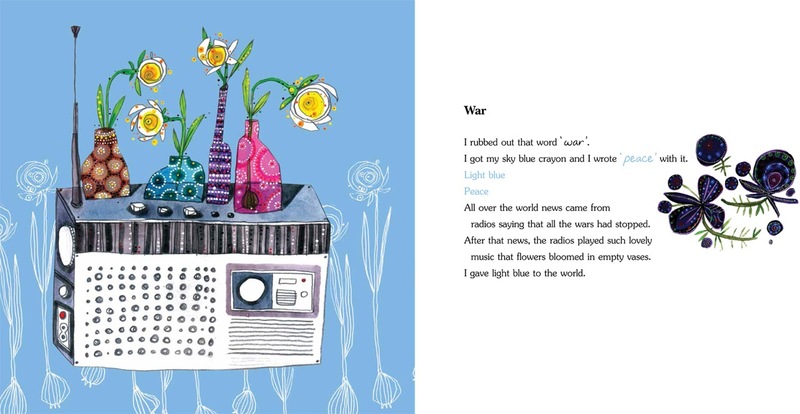 This week, using When I Coloured The World as our chosen book, we will look at how beautifully illustrated picture books can unlock a child’s imagination, and act as a springboard for creativity. When I Coloured The World is a book of profound simplicity. A child uses crayons to colour and change the world, making it kinder, more hopeful place. Boredom gives way to play, darkness to light, drought to rain, crying to laughter, and much more. One of the most rewarding parts of publishing is when readers get in contact with us to share their reading experiences with us; for example, this review from Jill Bennett, featuring beautiful drawings her child created after reading one of our books. When I Coloured The World is the perfect book to read before getting the crayons out and letting your child’s imagination go wild. The beautiful illustrations by Ehsan Abdollahi, alongside the poetic text (AhmadReza Ahmadi), has a beautifully simple, positive message. 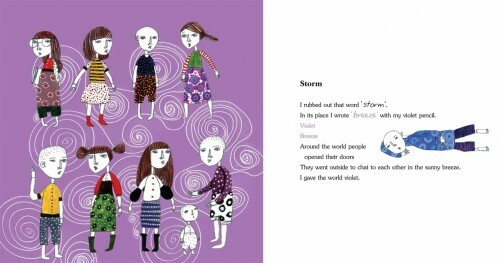 After reading When I Coloured The World with your child, ask them what would they rub out and replace? Would they change any of the choices the book’s character made? Perhaps ask them the use your home as their inspiration for even more personal pictures? You could prepare some pictures for them to create alternatives to; a rainy miserable day with sad people, their favourite football team losing, a boring table of food…. Please send us pictures of any creations – we’d love to see!